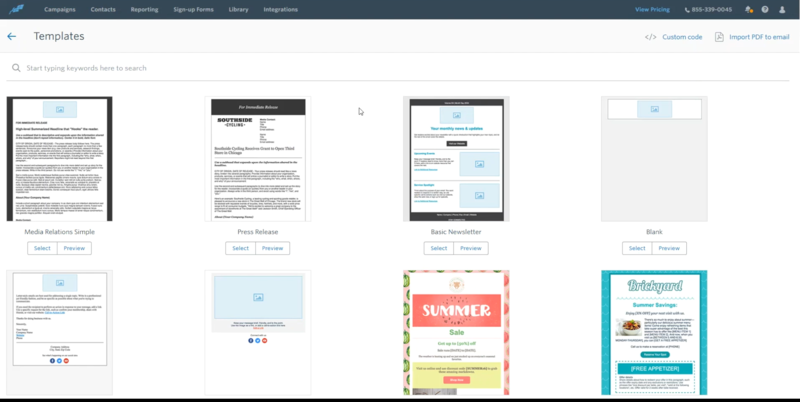 A tool to easily create design email and create marketing campaigns. A small business that wants a simple tool to easily create marketing emails. A business who wants the most customizable email templates and automation features at a competitive price. Constant Contact is an email marketing service that’s been operating since 1995. The platform aims to help small businesses engage their readers with high quality, engaging emails that are easy to design. 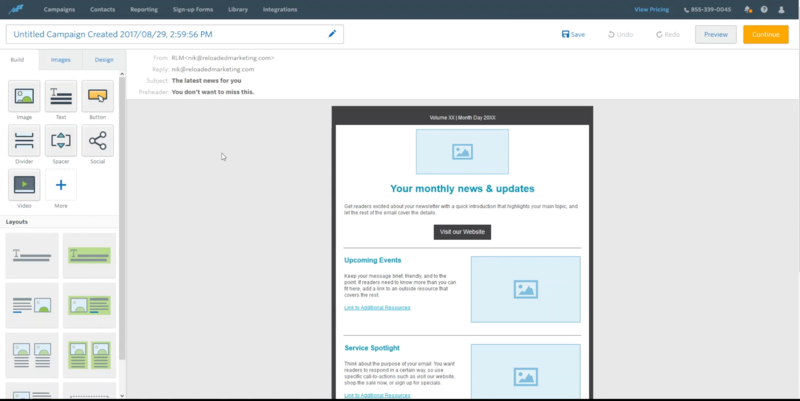 They also offer a range of other features to help you make the most out of your email campaigns. Constant Contact have created an easy to use product – suited to email marketing beginners. The design tool is very easy to learn, even for beginners. You can easily add a range of useful calls to action directly into the email. The user interface is modern and accessible. The reports on offer are very easy to understand. This also ties into a useful contact manager feature, so you can segment email communications to specific audiences. This is really important to ensure your marketing is relevant and engaging. However, this is a high cost service, which lacks more advanced design customizability features. We have also experienced marketing emails being labelled as spam in the past. Constant Contact is a however a good option to consider for companies looking for an easy to use email marketing tool.